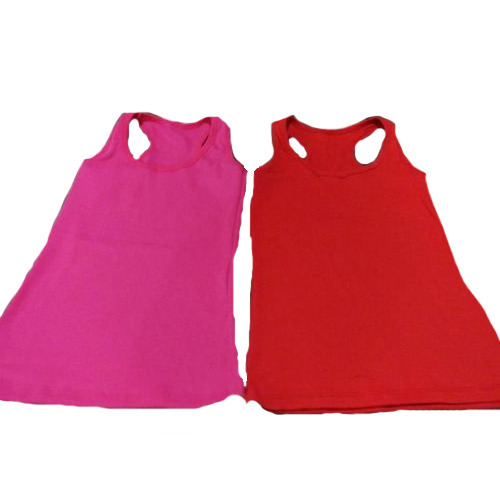 A wide range of Ladies Vests are offered by us to customers at market leading prices. These are available in market in various colors and sizes. The products offered by us are known for their premium quality. Our products are demanded all across the world. We ensure to satisfy the entire requirements of clients. The commencement of our organization, Urmil Fashions took place in 1989 as a sole proprietorship firm. We have set up as a well-known manufacturer, exporter and supplier of a comprehensive array of Designer Cushion Covers, Designer Curtains, Fancy Table Covers, Ladies Scarves, Ladies Trousers and many more. The material used for tailoring these products are sourced from the authorized vendors of industry, whose selection has been made by us after conducting in-depth surveys of the market. The offered product range speaks a vibrant saga of traditional embroideries as well as rich Indian craftsmanship that is an amalgamation of contemporary patterns and designs. Moreover, our products are widely praised for their outstanding features such as color fastness, shrink resistance, vibrating colors, aesthetic appeal, comfortable to wear, easy maintenance, unique patterns and many others. We by conducting periodic market surveys know the specifications and preference of clients and serve them accordingly. Apart from this, our firm is a social compliance firm & has been audited for S.C. by Foremost audition on behalf of our quality.